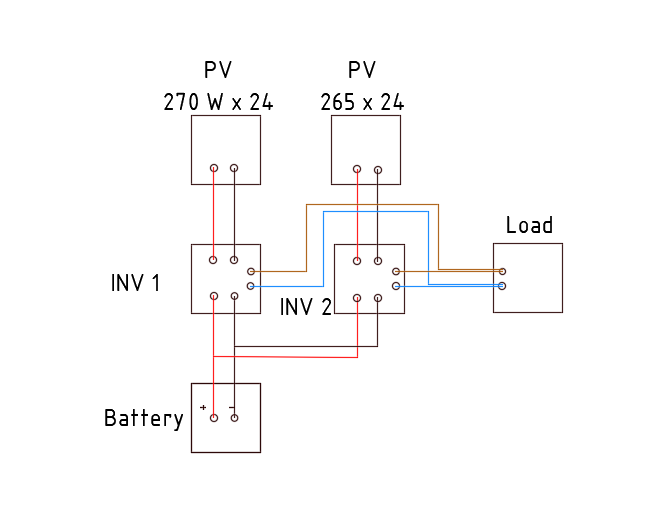 I have a battery system shown in the picture, 6 parallel branches of 4 batteries connected in series. The first 3 consist of old batteries which are 2 years old, the fourth branch consists of 1.5-year batteries, and the last two branches are made up of new batteries. Each branch contains a battery balancers. Can someone explain how batteries will work in this system if the charge/discharge cycle is 1 day? How batteries are charging (do they get full capacity)? What should I expect? Please give your recommendations. Thank you in advance for your answers. PS I hope each answer will contain facts, because I already browsed the Internet, and got very confused. Everyone says the opposite things. 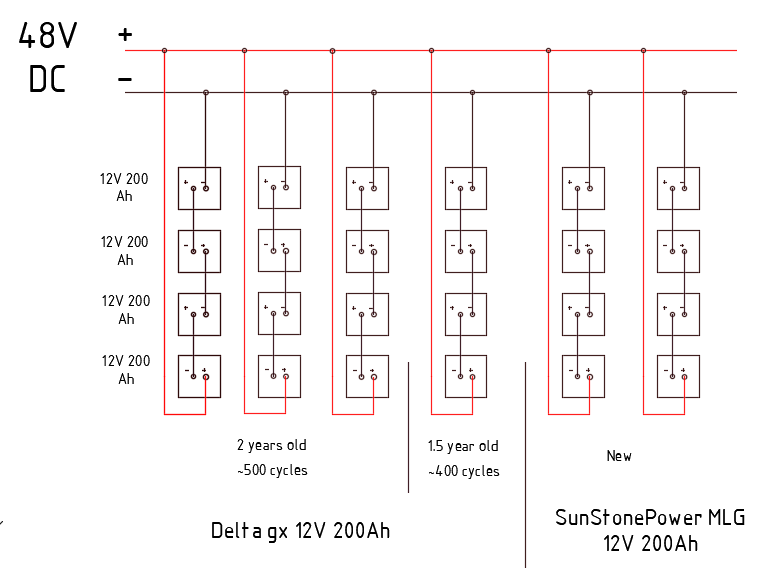 In the diagram above you can see the battery voltage and current. This diagram shows the bus state. Equipment that I use is Victron Quattro 10KVA, Victron smart MPPT 100A, Fronius symo 5 kW, diesel generator 7,5 kW. 24 PV panels 270W connected to Victron smart MPPT and 24 PV panels 265 W connected to Fronius symo. This is a fully autonomous system not connected to the grid. Browse other questions tagged power-supply batteries charge lead-acid or ask your own question. Why is it bad to mix new and old batteries? Use a diode or a MOSFET with a backup battery?